RIVING to Las pay for s if you rooms . If you ttering g stage know. food, we need to meet immediately. HT seeks st love dy to jump Military helpful. CAT LOVER s cat owner. ed and willing ally fond of xedo cats. be answered. urrr-fect match. Empower them to achieve their full potential! PROVIDING Opportunities & Resources TO CHILDREN IN NEED! Empowering Kids to AchievE their Full Potential! is a dedicated group of influential women who share a powerful commitment to helping children in need and creating a difference in their lives. FREE ROOF INSPECTIONS TO ENSURE YOUR ROOF IS WINTER READY. IN ADDITION TO NEW ROOF INSTALLATION, COLUMBINE ROOFING LLC, ALSO SPECIALIZES IN ROOF REPAIR FOR PROPERTIES OF ALL SIZES. ad. We’ll work with you to achieve the quality final product you expect. Columbine Roofing LLC will work with your insurance to achieve the quality roof you deserve. Over 250 roofing projects completed in Vista Ridge/Vista Point. Columbine Roofing LLC is proud to provide only the best quality roofing materials for your home. Experience why your neighbors trust Legacy Cleaning Solutions for their carpet cleaning needs. As a home or business owner, we know how important it is for you to keep up your home’s appearance. But that’s a challenge when you’ve got kids, employees, or pets. Don’t try and clean it all by yourself. Save time and energy by calling us to give your property the cleaning it, and you, deserves. FHA • VA • CONVENTIONAL • USDA • JUMBO • ASSET DEPLETION • BANK STATEMENT Kim has been helping individuals and families buy and refinance homes for over 18 years. She has extensive mortgage knowledge and is mindful in designing the loan that bests fits each person’s needs. Kim believes in doing what’s best for her clients and in turn this develops into a lifelong relationship that is based on experience and trust. M: 949.933.9058 kim@mindfulmortgagegroup.com mindfulmortgagegroup.com Certain restrictions apply. Call for details. A GOOD NIGHT SLEEP IS IN YOUR REACH AND YOUR HEALTH IS WORTH IT! Dr. Mark J. Barnes has transformed the lives of countless patients struggling from snoring, TMJ dysfunction and sleep breathing disorders. REGAIN FUNCTION, END LIMITATIONS AND REST WELL. Board Certified in Orofacial Pain, Credentialed in Dental Sleep Medicine with 30+ Years of Experience. Dr. T.C. Hardy is currently one of the leading providers in the state of Colorado for incognito hidden braces (braces on the tongue side!). As a Board Certified Orthodontist specializing in child, adolescent and adult orthodontics, he will give you the smile you have always wanted. We live in the 21st century! Why is there so much metal in the mouth still? At Hardy Orthodontics, our standard is the high quality, Clarity Advanced bracket. Giving you and your children the flexibility to have a clear aesthetic smile when needed (like school photos and weddings) or the option to let the colors really pop! In addition to the esthetics, the quality of the bracket makes for very efficient treatment as well as a bonding procedure that helps keep the teeth strong. Northern Colorado for Laser Dentistry: NO SHOTS! NO DRILLS! An experience where both you and your child leave happy! Namrata Hardy is a Board Certified Pediatric Dentist who specializes in providing oral health care to infants, children, adolescents and individuals with special needs. Dr. Nam believes her role as a health care clinician for children is a genuine privilege and she loves watching her patients grow up before her eyes. Dr. Nam is committed to fostering good oral habits from a young age and empowering parents and children to take an active role in their oral healthcare. She believes every child is unique, and tailors her approach to meet their individual needs. Dr. Nam believes that positive dental visits from an early age, and regular visits to the dentist are important factors in setting children on *depending on insurance the right track of good oral health for a lifetime. ELIFE magazine offers businesses the most cost-effective way to reach consumers in Erie and its surrounding towns. 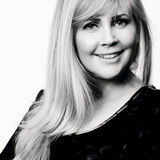 ABOUT THE EDITOR-IN-CHIEF Trisha Ventker is an author, photographic artist, branding and social media expert, publisher of ELIFE, NoCo, Denver Colorado magazines and retired elementary school teacher. She also finds promoting and bringing local businesses together very rewarding and is the founder of ELIFE and NoCo masterminds: networking groups for small business owners and entreprenuers. She is best known for her first book Internet Dates From Hell which is selfpublished by Ventker through iUniverse. It has since had the movie rights to it optioned by Paula Wagner. Trisha is also one of the first Indie Book authors to have a book optioned for the big screen. Trisha is originally from New York City, presently residing in Erie, Colorado for the past 11 years, with her husband and son. 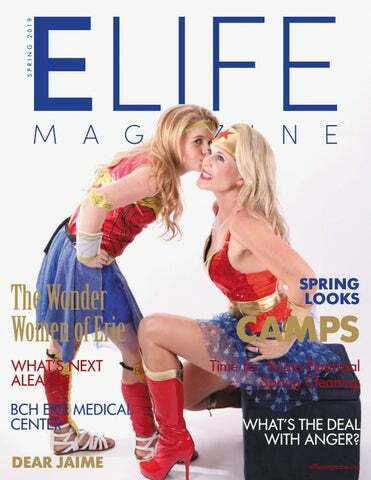 ELIFE is published by Ventker Media Group. All editorial material, including editorial, comments, opinion and statements of fact appearing in this publication, represents the views of the respective authors and does not necessarily carry the endorsement of Ventker Media Group. SELF DISCOVERY What’s the Deal with Anger? ELIFE: Tell us where you are from originally and a bit about your family. Wendy: My family has lived in Erie for 13 years. I have been a Certified Wound/Ostomy Nurse at Good Samaritan Medical Center in Lafayette for over 10 years. My husband Bruce is from Cedar Rapids Iowa, he owns a manufacturer rep company. My daughter Makenna and I are both Colorado natives, she is 11; she’s a 6th grader at Soaring Heights PK-8. She loves it there, go Eagles! We have two fur babies, both are 5-year-old cream retrievers. We have had Bailey since he was a puppy, but Lily is a rescue and we just adopted her last summer. You don’t know the look of true gratitude until you look at the way a rescue dog looks at you when you show them love. We are also the proud family to a hedgehog named Squirt who joined us in November. ELIFE: How do you spend your time? Wendy: As a family we love to camp, golf, ski, fly fish, and hang out with fun people. We have an amazing friend tribe in Erie. I have a strong women tribe; I play in the CNCG 9-hole Women’s league. I have women that I take girls trips with and that I adore and admire beyond belief. I try to stay active; I am a member at Raw Fitness. Makenna has a girl tribe of her own, she runs cross-country, track, plays volleyball, and loves to cook, loves performing in drama. My husband has amazing friends that he hunts and fishes with. We truly are blessed to live here and could not ask for more. ELIFE: What is your Mom Philosophy? Wendy: We are not here to compete with anyone. Being a Mom, just like any relationship is about our personal journeys with our children, our fur-babies, or whoever may refer to you as Mom. I am also a strong believer in that an attitude of gratitude is something important to instill in our children. I am grateful for the opportunities being a Mother has gifted me and I work to teach Makenna to appreciate everything. ELIFE: What are your mom duties? Wendy: I’ve coached Makenna’s soccer teams and Odyssey of the Mind, helped at cross-country meets, been room Mom, was on the PTO, and am her biggest cheerleader at all of her events. But my favorite Mom duty is just spending time with her and checking in, seeing how her friendships are going, listening to every little thing she wants to tell me about her day. She truly is wise beyond her years. ELIFE: How do you find balance being a working mom? Wendy: I am very involved in many councils at my hospital. The work that really speaks to who I am and helps bring everything together for me is my Caring Council work. This work allows me to really connect with my co-workers and patients on a level that truly speaks to my heart and soul. I was fortunate enough to become a Caritas Coach over a year ago (Dr. Jean Watson’s theory of human caring), which has helped me grow as a person, a clinician, and a Mom. I am a student of healing touch and utilize these techniques for energy balancing. I have been able to take these learnings and incorporate them into everything I do, including being a Mom. I love being able to teach Makenna the importance of doing everything from a place of love, the importance of self-care, setting healthy boundaries, and most of all having fun and finding joy in all she does. I have to give props to my husband Bruce, he is such a good Father to our family, it makes this Mama’s journey so much better. representative for Ayusa, a non profit organization that creates lifelong connections and experiences for international students and host families. FREE QUOTE | WRITTEN WARRANTY | SATISFACTION GUARANTEED! You can trust from house painting, to deck staining, to wallpaper removal, Fresh Coat offers a wide range of painting and painting-related services. Your team of professional painters will approach every job with service in mind, working every project as if it were theirs. If you choose to have our team refinish your cabinets, be assured that our team understands the professional process of refinishing with minimal interruption. This saves your family the hassle of a messy remodel in the kitchen or bathroom â&#x20AC;¦ both high traffic areas. Outlaw Realtor, LLC Baille T Barbour Insurance Agency, Inc. JetClosing, Inc. Thank you for supporting Erie Community Food Bank and scholarships for local youth to participate in Up with People programs. We are grateful for your generosity and could not have created such an incredible impact in Erie without you! Beautiful landscapes begins with creative and well thought out design. The design professionals at Innovative Outdoor Services are ready to meet with you to discuss your vision and to create a landscape design tailored to your lifestyle. From conception to completion our team of professionals is committed to creating enduring, high quality outdoor living spaces using only the finest quality materials. Proper maintenance is a key factor in protecting your landscape investment. Our professionally trained service technicians provide full-service, year-round detailed maintenance that is tailored to your specific site. No matter what your plans are for your new backyard…make it a safe place for your loved ones! Simplify this home improvement… Our knowledge and experience will help you select the best option for you home based on your wells, budget, and individual taste. Grates for most metal wells are in stock. Stock expanded metal grates (including full size egress) start at $200. Concrete, fiberglass, and flush mount wells require custom grates. Call for additional information. All quotes are complimentary. Raquel Hinman, CFP®, is an Erie resident with more than 20 years experience offering financial planning, wealth coaching, and investment management. Hinman Financial Planning, Inc., is a fee-only Registered Investment Advisor serving busy individuals and families in Erie, Broomfield, and surrounding communities. Hinman Financial Planning, Inc. is a fee-only fiduciary offering: • Retirement planning • Strategies for saving and paying for college • Cash flow and budgeting advice • Help analyzing financial impact of changing careers • Analysis for changing homes or buying a second home • Planning for elderly parents HFP does not sell products or earn commissions. We provide financial planning and investment solutions that are tailored to your needs, keeping you at the center of the relationship. Clinics and Services: Erie Family Medicine: High-quality primary care for patients of all ages, from newborns to seniors. Boulder Heart: Access to BCH’s award-winning, comprehensive cardiology services. Boulder Women’s Care: Experienced physicians and advanced practitioners offering a comprehensive range of obstetric and gynecologic care, including routine exams, pregnancy care and minimally-invasive treatments. Foothills Community Midwives: Certified nurse midwives providing beautiful birth experiences in a safe hospital setting and routine gynecologic care to women of all ages. Imaging: X-ray, ultrasound, MRI, CT, mammography Lab: Full range of standard and specialty tests Outpatient Pediatric Rehabilitation (opening April 15): Transdisciplinary expert help for children for physical, sensory, motor, speech, language, cognition and academic difficulties including Autism Spectrum Disorder. Urgent Care Center: Open daily from 7am to 9pm, 365 days a year, to treat common illnesses and non-life-threatening injuries. BCH is here in Erie! BOULDER COMMUNITY HEALTH Boulder Community Health (BCH) is a community owned-and-operated notfor-profit health system dedicated to providing local access to high quality medical care to people and businesses in Boulder and the surrounding areas. BCH is known across Colorado for its clinical excellence in heart care, neurosurgery, stroke care, orthopedics and cancer care. Some 540 physicians in 54 medical specialties have privileges at BCH. Boulder Community Health has received National Certification for Hip and Knee Replacement from The Joint Commission, the nationâ&#x20AC;&#x2122;s largest standards-setting and accrediting body in health care. It is also a recipient of the 2014 Outstanding Achievement Award from the American College of Surgeons Commission on Cancer. For more information, visit www.bch.org. Did you know that drinking our coffee directly benefits the lives of others? Weâ&#x20AC;&#x2122;ve put together a series of thoughtfully blended, Private Label coffees that benefit non-profits available for purchase exclusively online at eriecoffeeroasters.com. Proceeds directly support the Non-Profits! Keep an eye out for our products in your local KING SOOPERS. MASSAGE MASSAGE CHIROPRACTIC CHIROPRACTIC ACUPUNCTURE ACUPUNCTURE Locally Locallyowned ownedininErie! Erie! Tuesday, April 23, 2019 10:30 a.m. – 2 p.m. Avista Adventist Hospital’s motivational luncheon and expert-led health breakout sessions returns for its fourth year! We invite you to share this invitation, bring a friend, or your network! EVENT SCHEDULE: 10:30 a.m. 11:30 a.m. 11:50 a.m. 12:40 p.m. 2:00 p.m.
FREE EXAM for Kids Under Three* (303) 650-0310 14697 Delaware Street, Suite 210 Westminster, CO 80023 *Applies to new patients only. Offer may not be valid with insurance benefits. Restoring Peace of Mind After the Storm At Gorilla Roof, Inc. our goal is not only to help you with your roofing needs, but also to make sure the process is easy and enjoyable for you! We are a full-service roofing company that can assist you with all of your roofing and guttering needs. What’s New Alexa? All right; I can hear the boos and the naysayers’ castigating banter already. Maybe, they, like the great generals of time, including Washington, Grant and Patton warned are the problem not the solution or as the old adage relates, “if they’re not with us they’re against us”! Sure, each generation develops technology to make the next generation’s lives easier, and therefore better we all believe. I’ve yet to understand that form of “better” for the past six decades. Let me go to my office, get my trusty Webster’s Dictionary and look it up along with the other puzzling contextually different words for the thousandth time; no wait, I don’t need to expend that much energy! I resign to call out, “Alexa, what does “better” mean”. “Let me see, do you want the definition of the word “better”, John?”, the little interactive computer responds. Poor Alexa; what I require is the meaning not a denotation of the word or comparative degree of another word, namely “good”. I need the “meaning” of an old adjective or its implicative value for our contemporary and future-tense worlds. Poorer me, I thought, for I, too have become the problem not the solution! Who’s the robot here? I then get a remote visual of the oversized “Robbie, the Robot” from the all but inane 60’s Sci-Fi episodic sitcom-drama, for a better term “Lost in Space” exalting, “Danger, Will Robinson - Danger!!!”. Due to a late winter cold, which perennially morphs into bronchitis, knee, hand and shoulder arthritis and of course work-related stress, I couldn’t sleep one night recently, and decided to watch the late night inevitable myriad television infomercials just before dawn. Groggy but still somewhat alert, I was virtually shocked by one. It starts with a middle-aged woman showering with a broad smile while soaping up as a man’s voice interposes drawing the bather’s attention. Pulling back the curtain and still smiling while looking into the camera, the woman’s face changes to a lament when the voice asks, “How about that hard to reach place? How do you know if you’re truly clean there?” The woman then looks over her shoulder (as if one could or can really see one’s backside), as her face turns, exhibiting sadness to incredulity looking back at the camera. Then the voice returns stating that the young woman is in luck! “Now there’s “Shiny Hiney” to the rescue!”, it announces, assuaging the bather, while the strange and uninvited sales representative extends his arm and hands her an implement of about two feet in length, crooked about two thirds of the way down at a 30 degree angle. great inventors trying to rival the DaVincis and the Edisons of the past. I’m just not “buying” the need to replace every old (and still functioning) commodity for the “new and improved” versions. There’s really nothing comparable to that satisfying sense of accomplishment when I choose the ax over the chain saw when the need to provide fire wood outweighs the option to turn up the thermostat supporting the everincreasing price of oil heat in our house. Even the stairs, especially downward in lieu of the elevator, despite my claustrophobia growing as I age is preferable these days. So, allow me to go put on some old Allman Brothers and Grateful Dead vinyl records on my turntable while I trim my hedges and bushes for the last time before winter sets in, with of course handheld, non electric clippers standing on my old worse for wear wooden ladder. I may even forgo the plastic bags the town provides us for yard waste and use the paper version one has the option to choose this time of year. When I’m done, I’ll shower like the attractive middleaged T.V. babe does in the odd commercial, and without a doubt leave the tub with a confidently clean, but regrettably non shiny hiney without the aromatically scented soap usage the ad urges. I think I’ll survive, as I have for the past 64 years, and who knows, with the exercise I engage in by not entirely depending on the electronic “thisses and thats” I may make it another 20 or so. Oh no, where did I put it? “Alexa, where do you think I left my arthritis medication”? John J.K. Small has taught High School English and History courses for 36 years and College Education and English courses for the past 22. He has been the copy editor for ELIFE and NoCo magazines, contributing multiple articles for the past four and two years respectively. Constructing a myriad of business plans, marketing strategy overviews and power point presentations, John has assisted several entrepreneurs as well, during that span. John lives with his wife and son in New York. THE NEW IMPROVED WAY OF INSURANCE 22 years providing Colorado and the Front Range the best insurance solutions As an independent insurance agency, we offer MORE choices for your insurance needs. We are not limited to one company, instead we search multiple insurance companies for your situation and provide solutions and options. Service you deserve at the pricing you expect. Contact us today to discuss your policy needs. THERE’S ALWAYS ROOM FOR DESSERT. At Sweets, it’s all in the name. From celebrations and happy memories, a birthday cone to a game winning scoop: every bite inspires our inner youth. Your next stop will satisfy every sweet tooth. Now serving Little Man Ice Cream! 3120 Village Vista Dr. Erie! WHITE KNIGHT RENOVATIONS White Knight Renovations was created to help homeowners finally find a reliable General Contractor / Home Handyman service that can be trusted and relied upon to take care of those exciting but sometimes daunting home improvement or remodel projects. The ones you don’t want to tackle, but would love to have completed in a timely manner and of the highest quality. Transforming your home, fixing a nagging problem or planning new and modern additions and changes to your home is what White Knight Renovations is here for. Check out the website for more information and I look forward to helping you whenever you’re ready… Contact Tristan today to start your home renovation project! Unique Camps Renaissance Adventures | If knights in shining armor, quests, and battles are a constant theme in your house, then this is the camp for your kids. Kids work together in teams to solve riddles, follow maps to buried treasure and fight off foes with foam swords … Ages 7-17. renaissanceadventures.com/kids-camps-boulder-denver/program-types Living Arts School | This school is all about bringing kids back in touch with nature and our roots. Camps focus on a variety of themes such as mythical creatures, fort building, and making terrariums … Ages 3-12. livingartsschool.com/summer-camp Camp Kind | A one-of-a-kind camp that focuses on fostering empathy and kindness in kids. Each week focuses on a different theme and destination such as animals, elderly, babies or homelessness. Kids take field trips to local charities related to the theme and work on service projects … Ages 7-13. campkind.org These camps are among the best at engaging kids in hands-on learning activities and adventures without the use of screen technology. Research tells us that kids who engage with others in more face-to-face interactions have better social skills and empathy towards others. I think most parents would agree that anything that can help put a little more empathy in this world is at the top of my list. Hopefully, your kids can take advantage of unstructured time this summer to engage with friends, learn and have fun. Amy Webb lives in Erie with her husband and two energetic boys. While her PhD is in Human Development and Family Sciences, her best education in parenting (and life) have been her two boys. While completing her degree, she realized there was not enough research-based parenting and child development information that was easy to understand for the average parent. Much of the research done by university scholars is not easily accessible to parents. With her writing, she hopes to provide thought-provoking and insightful information that will be useful to parents. She doesn’t pretend to be a parenting expert, but rather a translator of research into a parent-friendly format. ENTER THE UNKNOWN MAKE YOUR MARK As business owners and organizational leaders, we constantly shift between hope & fear. Hope in the potential for our work, fear of the risk of failure. If a healthy balance is not found and kept in check, personal & organizational development ceases. What you and your organization need is strategy & delivery. Strategy to move forward based on researched, educated decisions and someone that can help you actually implement your strategy. The Tallent Company has proudly supported businesses, organizations, nonprofits, Towns, Cities, Fire Districts, and School Districts in growth and prosperity. We invite you to visit our website at www.tallentco.com to learn more or email us at info@tallentco.com. EFFICIENT, STRATEGIC PLANNING & DELIVERY OF SOLUTIONS FOR BUSINESSES, GOVERNMENT ENTITIES & ORGANIZATIONS. THE TALLENT COMPANY INFO@TALLENTCO.COM Ballet is the type of performance dance that originated in the Italian Renaissance courts of the 15th century and later developed into a concert dance form in France and Russia. Becoming a ballet dancer requires years of training. Ballet has been taught in various schools around the world, which have historically incorporated their own cultures to evolve the art. Scott's Roofing provides commercial & residential roofing repair and replacement across Colorado's Front Range. We provide experience in all phases of roofing, from estimates and insurance claims, to high-quality construction and cleanup. Whether you have a home, retail space, a warehouse or religious center, we’ll take the time to understand your needs and we’ll provide the most cost-effective solutions for your situation. WHY In the spring of 2008, a group of health-care and business professionals who shared profound personal experiences with the life-enhancing benefits of essential oils came together with a common vision of bringing a new standard of essential oils to the world. They asked themselves some defining questions: “What if we could provide the world with a new and powerful wellness alternative?” “What if we could provide this new level of wellness through a mainstream approach to essential oils?” “What if we could source, test, and manufacture a higher quality of essential oil —more pure and more potent than any other oil available on the market today?” “What if we, in the most professional manner, could partner with major hospitals, doctors, scientists, and opinion leaders to provide the most compelling authentication of essential oils on the planet?” They organized a company and named it dōTERRA, a Latin derivative meaning “Gift of the Earth.” The first dōTERRA offering of 25 single oils and 10 oil blends was introduced for sale on April 25, 2008, to the acclaim of essential oil experts and product enthusiasts who immediately recognized the superior quality of dōTERRA therapeutic-grade essential oils. dōTERRA has continued to add wellness products and to expand their essential oils offering as the company has enjoyed tremendous growth since its beginning. • Get rid of clutter When you go through your closets, attic, basement or other areas, you may find many items you no longer need. You might be able to sell some of these things or find other ways of disposing of them. And as you review your portfolio, you might also encounter “clutter” in the form of investments that may be redundant to others you own. If so, you might consider selling these investments and using the proceeds to purchase new ones, which may help you broaden your portfolio. • Protect yourself from hazards As you go about your spring cleaning, you may well encounter hazardous substances, such as cleaning agents, paints, batteries, pesticides and so on, which you don’t need anymore and which may pose potential health risks. You can reduce the possible danger from these materials by recycling or disposing of them in an environmentally safe way. Your overall financial situation has hazards, too, in the form of illness or injury preventing you from working, or, in your later years, the need for some type of long-term care, such as an extended stay in a nursing home. To protect yourself, you may need appropriate insurance, including disability and long-term care. • Find new uses for existing possessions When you are sprucing up your home, you may rediscover uses for things you already have. Who knows – perhaps that treadmill that’s been gathering dust in your garage could actually be employed again as part of your rededicated exercise regimen. And you might be able to get more mileage out of some of your existing investments, too. Suppose, for instance, that some of your stocks are paying you dividends, which you take as cash. If you don’t really need this income to support your lifestyle, you might consider reinvesting the dividends so that you can own more shares of the dividend-paying stocks. Over the long run, increased share ownership is a key to helping build your portfolio. • Establish new habits Spring cleaning doesn’t have to be just about physical activities – it can also involve a new set of habits on your part. For example, instead of placing your unread magazines in an ever-expanding pile, try to read and recycle them quickly. You can also develop some positive habits as an investor, such as “paying yourself first” by regularly putting some money in an investment account each month, even before paying all your bills. You can also avoid some bad habits, such as overreacting to market downturns by selling investments to “cut your losses,” even though those same investments may still have strong growth potential and may still be suitable for your needs. Doing some spring cleaning can make you feel better about your living space today. And applying some of these techniques to your financial situation can help you gain a more positive outlook for tomorrow. As an Edward Jones financial advisor, Danielle Patnode values personal relationships based on a deep understanding of your unique financial needs so that she may develop the most appropriate financial strategy to help you achieve your goals. Her clients have complex needs, and she works with them, their estate attorney and their CPA to address each facet of their financial picture from saving or retirement to transferring wealth. She provides a comprehensive and focused strategy for each of her clients. Danielle graduated from University of Colorado at Boulder and has been in the area for 25 years. She has watched the local communities grow and has been an active part of many non profit organizations that support local businesses, community members and the environment. Her husband and their 2 young boys love spending time together outdoors enjoying everything Colorado has to offer in the way of outdoor activities. WOULD LIKE TO THANK OUR DIAMOND & PLATINUM BUSINESS SPONSORS. THANK YOU FOR YOUR GENEROUS SUPPORT! WHATâ&#x20AC;&#x2122;S THE DEAL WITH ANGER? Have you ever wondered why we get angry? Honestly, I would like to erase the word anger from our thoughts and dictionaries. It really gives us little more than a small window into another person’s feelings. The word itself has no depth. I’d much rather hear “I’m frustrated” or “I’m disappointed” than “I’m angry”. I don’t learn anything from hearing it. According to psychologist Daniel Goleman, “Emotions are, in essence, impulses to act, the instant plans for handling life that evolution has instilled in us.” In his book Emotional Intelligence, Goleman tells us that anger causes blood to flow to our hands, making it easier for us to strike an enemy or hold a weapon. Our heart rate speeds up and a rush of hormones – including adrenaline create a surge of energy strong enough to take “vigorous action.” In this way, anger has been ingrained into our brain to protect us. This is evolutionally important, for humans needed to run from the tiger or kill the food needed to survive 100,000 years ago. However, we no longer need this level of response, so we need to listen to our body cues to help us stay in a healthy response to our circumstance. Think of anger like an iceberg. Most of the iceberg is hidden below the surface of the water. Similarly, when we are angry, there are other deeper and more meaningful emotions hidden beneath the surface. It’s easy to see a person’s anger, but it can be difficult to see the underlying feelings the anger is protecting. For example, Joshua believed he had an anger problem. When his wife would make a request of him, he would criticize her. He didn’t like his reactions, but he felt he couldn’t help it. As he worked on mindfulness and started noticing the space between his anger and his actions, he “opened up the door” into a profound realization: he didn’t really have an anger problem. Instead, he felt like his wife was placing impossible demands on him. By seeking to understand and accept his true feelings, rather than using a single word to express his reaction, Joshua was able to learn something much deeper. WHAT’S THE DEAL WITH ANGER? In doing so, he began to improve his marriage by recognizing his anger as a signal that he needed to set healthy boundaries for what he would and would not do. He learned to state that “I’m feeling overwhelmed by all of this. Can we prioritize some of these requests?” or even “You may feel that this is a priority, but I do not see it as valuable.” As Susan David, Ph.D., author of Emotional Agility says, “Our raw feelings can be the messengers we need to teach us things about ourselves and can prompt insights into important life directions.” Her point is that there is more below the surface of our anger. Therefore, it would be better to take the “anger” word out of our vocabulary and say how we really are feeling! Anger is often described as a “secondary emotion”, for people tend to use it to protect their own raw, vulnerable, overwhelming feelings. Underneath Joshua’s initial feelings of anger was pure exhaustion and feeling that he wasn’t good enough for his wife. Therefore, his anger was protecting him from the painful feelings of not being good enough. Learning to recognize this as a protector of our raw feelings can be incredibly powerful. It can lead to significantly healing conversations that allow all of us to understand each other better. When we are faced with the loud voice or red face of a child or partner, we become defensive. We want to fight back as our own anger boils to the surface. If this happens, we get in a heated battle of “who’s anger will win the day” - which only leaves everyone feeling unheard and hurt. Nothing is solved. Nothing is understood. The relationship is not enhanced, it is harmed. 1. Step out of the way of this being about you. Your partner or child’s anger is usually not about you. It’s about their underlying primary feelings that are connected to their own perspectives and life experience. SO, not taking this personally takes a high level of emotional intelligence. Give yourself time to grow into seeing this differently. One of the ways I do this is by becoming curious of why they’re acting the way theyare. It’s much easier for me to become defensive, but I’ve found thinking, “Wow, this is avery heightened emotional state I am seeing…..why is that?” leads me to think moreabout what is really happening for them. My curiosity can actually bring us closer together. 2. Telling an angry person to “calm down” always backfires. When I work with couples and one of the partners get angry, often the other partner will say, “Calm down” or “You’re overreacting.” This tells the recipient that his/her feelings don’t matter and they are not acceptable. Try saying something like, “I understand that you are upset. What are you feeling exactly? What do you need?” The goal here is not to change or fix your partner’s emotions but rather to sit with him or her(and their anger icebergs). Communicate that you understand and accept their feelings.When you do this well, your partner’s anger will subside and the real emotion will rise tothe surface (not to mention they will feel heard by you, which builds trust over time). 3. What are you bringing to this anger dance? Maybe you grew up in a family where anger wasn’t allowed, so when your partner expresses it, it feels paralyzing and you freeze. Or maybe you try to solve their anger for them because their anger scares you. Open yourself up to experience you and your partner’s full spectrum of emotions without judgment. Try to simply notice them. The bottom line is that people feel a wide variety of emotions for a reason. It’s your job to try your best to understand and sit with them in it - NOT TO FIX IT! By doing so, you will not only help them to understand their anger, but you will become closer to them in the process. Raising 2 puppies at the same time can be challenging! Considering that she has little time and space to train, rehoming one of the dogs might be the best option to ensure that each dog’s needs for individualized attention are met. Take the puppies out to socialize separately - so they can develop diverse socializing skills and can learn to be confident around new people and environments. Sign them up for separate training classes - so they can learn to depend on their handler for guidance, instead of their littermate. Its best to add each puppy to your family at least 6 months apart to avoid the pitfalls of “Littermate Syndrome.” When raising puppies together, its important they get individualized attention. Try not to treat them as a single unit, otherwise, they can bond strongly to each other, and not to the humans. The dogs can develop an unhealthy dependency to each other. This strong togetherness addiction leads to significant separation anxiety. Jaime Bessko lives in Erie, Colorado with her husband, 2 boys, 2 dogs and 2 cats. She is the owner of ERIE DOG CO, LLC, specializing in behavior modification for dogs through immersive overnight board and train programs. She has always had a way with animals and made a great impact training service dogs at International Hearing Dog in Henderson, Colorado. Jaime’s philosophy on working with dogs is to communicate clearly, be consistent, praise your dog and HAVE FUN! If you want help enjoying your dog more, reach out via eriedogco.com.